How to Manage IoT Devices Effectively? The benefits of smart connected devices or IoT are numerous—convenience, efficiency, and increased security, to name a few. While the adoption of IoT devices is witnessing an upward spiral, the IoT landscape is still evolving. To enable IoT devices to thrive, it is imperative to maintain the health, security, and connectivity of the devices. Although enterprises and consumers are already reaping the benefits of IoT, they are also encountering an array of challenges in aggregating the potential of available devices and technologies to amplify the power of the IoT ecosystem. 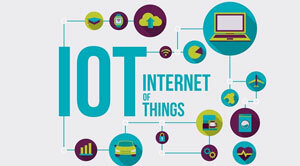 Defining the needs of the IoT devices is important whereby enterprises must decide what they want to achieve to support their business decisions and the device types requisite to obtain the desired result. Determining the appropriate devices depends on a number of factors, such as connectivity options in the place, atmospheric conditions, the source of power, remote monitoring and management abilities of the connected devices, and much more. Following successful deployment, the IoT devices must be seamlessly integrated with the existing applications of an enterprise to make sure that the data accumulated and transmitted is clean and error-free. As a large number of business operations depend on enterprise data, it is critical to streamline the regular management of the devices. Device management comprises of monitoring device performance, performing resets when required, and pushing updates to remote devices. Finally, ensuring the security of the devices is paramount. It is exceedingly crucial to maintain and establish an effective layer of security to fortify the devices against external threats such as breaches and intrusions and prevent the loss of sensitive data.